This bedroom was designed around warmth and rest. 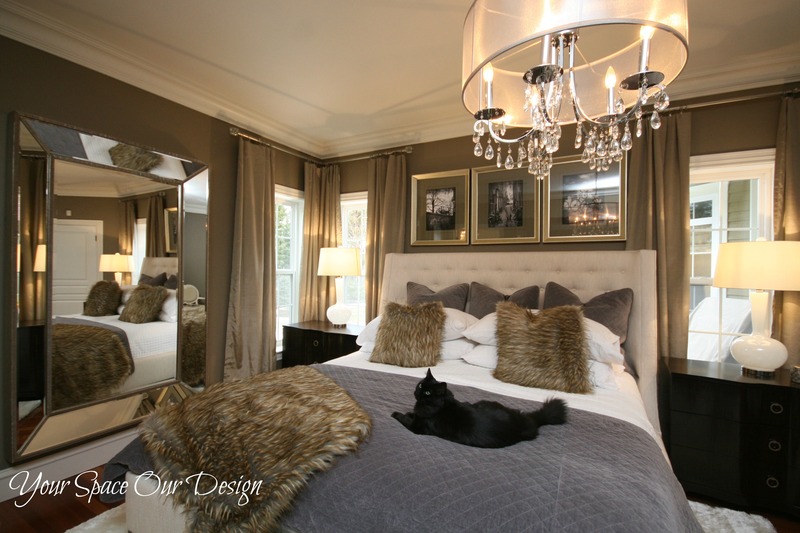 We chose a light fabric tufted bed and paired it with warm wood bedside tables, creamy lamps and soft shag rug. The addition of some sparkle in the chandelier and an oversized mirror, bounces light around and completes the space!